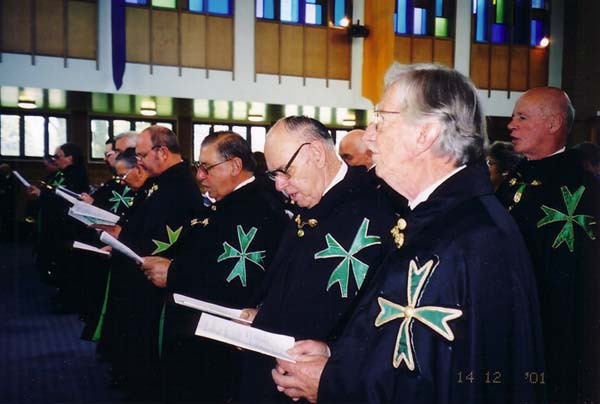 HE Dame Gwenneth Halford-Bell flanked by members of the Auckland Commandery, November 2001. On her right is Chev. Dr. Neil Algar QSO, KLJ and on her left is the Very Reverend Bishop Denis Brown, Bishop of Hamilton and Chaplain for the Northern Commandery. 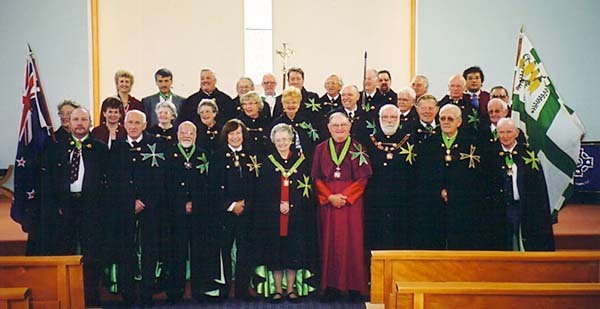 The following photographs are of the Investiture Ceremony that was held in Te Awamutu in April 2008.